When I was seventeen, I ganked the Outlaw Bible of American Poetry from the public library and found three poems by David Trinidad anthologized between Bob Kaufman and Woody Guthrie. This was—to my mind—pretty much the coolest thing ever. In his newly-published and completely-addictive Dear Prudence: New and Selected Poems, Trinidad has given us a prismatic funhouse of contemporary poetry, full of Yardley Slicker lipgloss, NRFB (never removed from box) collectible Barbie outfits, and Sylvia Plath. In this cultural detritus, Trinidad finds something thrilling, something human, and a poetry as formally unexpected and inventive as its subjects. He was kind enough to speak with Sycamore Review recently and discuss some his most recent projects. Sycamore Review: This was a big year for you—your selected poems were published, as well as the collected poems of your friend Tim Dlugos, which you edited and introduced. What was the experience of working on these two projects together? Or did you consciously try to keep them separate? David Trinidad: I worked on the books concurrently, usually alternating between the two projects. Tim’s presence was palpable throughout. I actually welcomed his influence on my own work—just as he’d influenced me when he was alive. The way he was able to dive into a poem, and run with an inspired idea, in particular, had an effect on me, gave me courage to face writing my new poems. SR: Did working on A Fast Life change the way you thought about your own volume? DT: It did give me a sense of finality, in a way. Tim was almost twenty years dead when I was working on A Fast Life. I had to reach into the past and retrieve all of his poems, reconstruct his life. Because I was also working on my selected poems, it made me look at my own poems through an archival lens. Maybe that would have happened anyway. The idea of discrete books, for instance, fell by the wayside. The poems now exist independently—in a more open chronological framework, not just within the confines of individual books. Each poem’s now part of this larger picture, or puzzle. A life’s work, if you will. SR: Many of your poems seem to come from prompts—lists, ephemera, haiku for each episode of Peyton Place. The poem has a kind of goal for itself. What does the prompt give you, as the poet? What is the advantage? DT: I’ve always said that prompts, especially forms, are toy-like. They turn writing into a sort of game. Challenging, but fun. A riddle you have to solve. But every poem, prompt or not, is a riddle you have to solve, or try to. 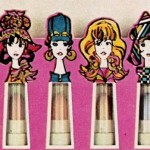 SR: In general, you’re a poet of many obsessions—’60s pop culture and Barbie, especially. Do you think of these obsessions as muses? Do you sit down specifically intending to write about Barbie stuff, say, or does it attack you? DT: I guess I would agree that my obsessions are muses. Obsessions drive you, spur you on. It’s not always such a conscious decision, the things I write about. I suppose it’s too simplistic to say it just happens. I’m always trying to make writing happen. It just doesn’t feel like I’m in total control of what comes out. In fact, a large part of the work seems to be about relinquishing control, so the unexpected perception or admission can take place. That’s why the prompts, the forms, are useful: they distract you, or preoccupy you, while something magical transpires. At least that’s the hope. SR: Some recent poems likewise seem to pick up on similar little artifacts, objects, rooms, occasions, from the life of Sylvia Plath. It seems to be less a literary obsession than one of celebrity, of adulation. One of my favorite of your new poems is “Underlined in Sylvia Plath’s Copy of Tender Is the Night.” How did Plath enter into your life? How and why does she remain there? DT: I first encountered Plath when I was an undergraduate in the early ’70s. I was assigned Ariel in one of my lit classes. I’ve been interested in her ever since. It hasn’t been a constant thing; my interest has waxed and waned over the years. It was reignited, in a big way, about three years ago. I discovered that one of the Plath archives is in Indiana, at the Lilly Library in Bloomington, within driving distance of where I live. So I made a pilgrimage. That’s where I saw her copy ofTender Is the Night. It’s an amazing experience to be able to hold and study something like that, to touch something that Plath herself touched, underscored. Fetishistic, perhaps. No, that’s a put-down. It’s an intimate act, one that connects you with a writer, his or her energy, in a very personal way. It’s that intimacy, with Plath, that I find so exciting. To get that close to the source of such tremendous vitality, creativity. SR: The long poem “A Poem Under the Influence” from The Late Show, included here in Dear Prudence, involves many “confessions.” One of them (“Confession: last Monday (February 21) at Columbia College, I gave my poetry workshop / a writing assignment (Joe’s I remember) and went to my office to bid on Bride’s Dream”) even mentions a workshop I was in. In the book, you’re engaging sometimes with the material of confessional poetry in a unique way, but do you think of yourself as a “confessional” poet? DT: I can’t believe you were in that workshop! I suppose I do consider myself a Confessional poet in some respects, insofar as I have things to confess, that I feel driven to confess, that I’m not afraid to expose. So many poets are; they hide behind their intellect in order to evade the personal. But that seems to be what I crave, what I look for in other writers. Maybe it’s because the Confessional poets had a big impact on me early on—Plath, Anne Sexton, Robert Lowell’s Life Studies. When I began writing, they were the popular poets. More than that, though, there was a true affinity. I had been raised Roman Catholic; a strong belief in the redeeming power of confession was ingrained in me. SR: The poem circles back around and mentions previous poems in the collection, previous “characters” we’re already familiar with having read your previous poems arrive to greet us again as they might in a memoir. It even mentions itself, the writing of the poem. How did you approach writing it? What is the “influence” of the title? DT: I’d thought, when I started it, that I would write an instant New York School long poem: twenty page-long stanzas, one a day. I think I wanted to have something to show for my summer. It ended up taking a year and a half to complete. I still wrote each stanza in one sitting, just not over consecutive days. There were other “rules”: the first line of each stanza had to contain the word “pink,” each line had to exceed the margin and wrap, and (big surprise) I had to confess something in each stanza. The poem is obviously under the influence of the New York School long poem, specifically James Schuyler’s “The Morning of the Poem” and “A Few Days.” I’d read a page or two of Schuyler each time I sat down to work on my poem, as warmup. The poem is also under the influence of the past, the color pink, as well as innumerable other things. SR: Often, the poems in the book seem to bounce back and forth between humor and catharsis, subverting our expectations in a kind of self-aware way. It’s like Barbie punk rock. The beginning of “April Inventory” starts: “This is typical / autobiographical / stuff” which is quite disarming for the reader, in a wonderful, satisfying way that seems to be a trademark of yours. How did you arrive at that? What influenced it? What turns you on in the poems you read? DT: Like the Confessional poets, the New York School poets influenced me, so perhaps the relationship between humor and catharsis has something to do with that. Frank O’Hara, Schuyler, Joe Brainard, Alice Notley’s poems from the early ’80s. And of course Dlugos. All very intimate and open. Friendly. Funny. We relate, don’t we, when someone lets down their guard and reveals who they really are. Both these aesthetic impulses—Confessional and New York School—strike me as incredibly generous. I like poems that disarm me in some way, make me laugh, cry, feel human. That surprise or delight. As when I’m looking at art in a gallery or museum, I simply know what I like when I see it. SR: It’s difficult to estimate the number of great poets you’ve hipped me to personally, just by reading the dedications in some of your poems—Dlugos, Amy Gerstler, and Elaine Equi to name a few. Who are you reading lately? DT: I’m just finishing Ted Hughes’s Moortown Diary. His intricate, even baroque descriptions of farm life. It’s an amazing book; the poems totally took me by surprise. One, “Struggle,” moved me to tears. I’ve also been reading Truman Capote’s short stories. And Schuyler’s art criticism. And Eula Biss’s essays. And every haiku I can get my hands on, as I’m writing a whole book of those Peyton Place haikus. Bashō. Issa. I’m always reading Emily Dickinson. Her poems blow my mind. SR: I’m curious about your revision process. So much goes into your poems, what comes out? DT: A lot. I revise quite a bit. I don’t take anything for granted. What does A.R. Ammons say: “one must write and rewrite till one writes it right.” I question everything I put on the page—sometimes endlessly, it seems. 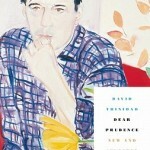 David Trinidad’s most recent book, Dear Prudence: New and Selected Poems, was published in 2011 by Turtle Point Press. His other books include The Late Show (2007), By Myself (with D.A. Powell, 2009), and Plasticville (2000), all published by Turtle Point. He is also the editor ofA Fast Life: The Collected Poems of Tim Dlugos (Nightboat Books, 2011). Trinidad teaches poetry at Columbia College Chicago, where he co-edits the journal Court Green.